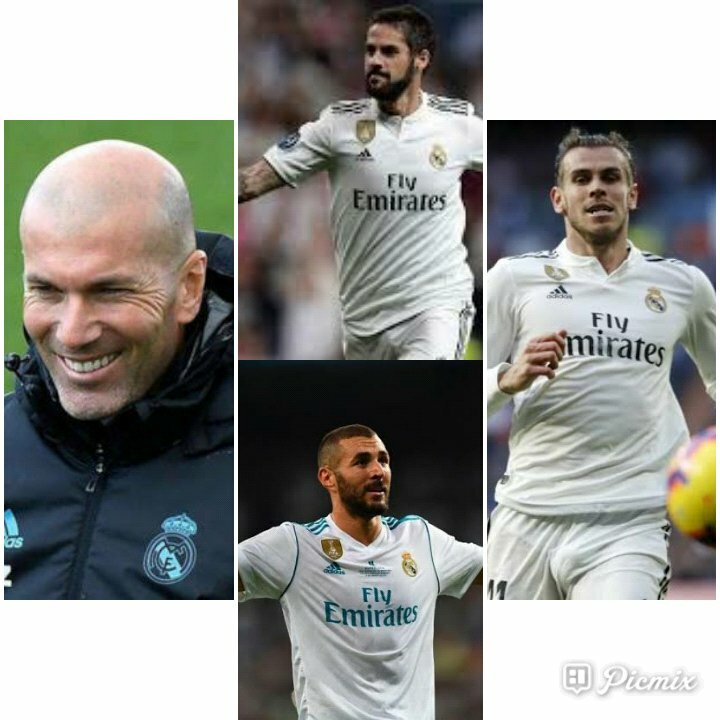 A 61st minute tap-in by Spanish International, Isco, following a left side Kareem Benzema's cross and 76th minute Gareth Bale 's low volley, were enough to give returnee Real Madrid Gaffer, Zinedine Zidane a winning start in a confidence boosting game against Celta Vigo in this afternoon's Spanish La Liga game. Current Balloon Dior winner, Luka Modric had in the 55th minute, hit inside of the Celta Vigo net with a long range strike, but his effort was ruled out by a VAR decision watched by the centre referee himself. The cancelled goal was due to adjudged interference by Real Madrid Central Defender, Raphael Varane. The game which was played at Madrid's home-ground, Santiago Bernabeu, was watched by 65,000 crowd and Celta Vigo which had just a win in their last 12 games prior to today's match, gave the rejuvenated Real Madrid side good run for their money in a duel that saw the return of Isco , who was immediately substituted after his opening goal.